It's the Finishing Touches that Make Something Special. 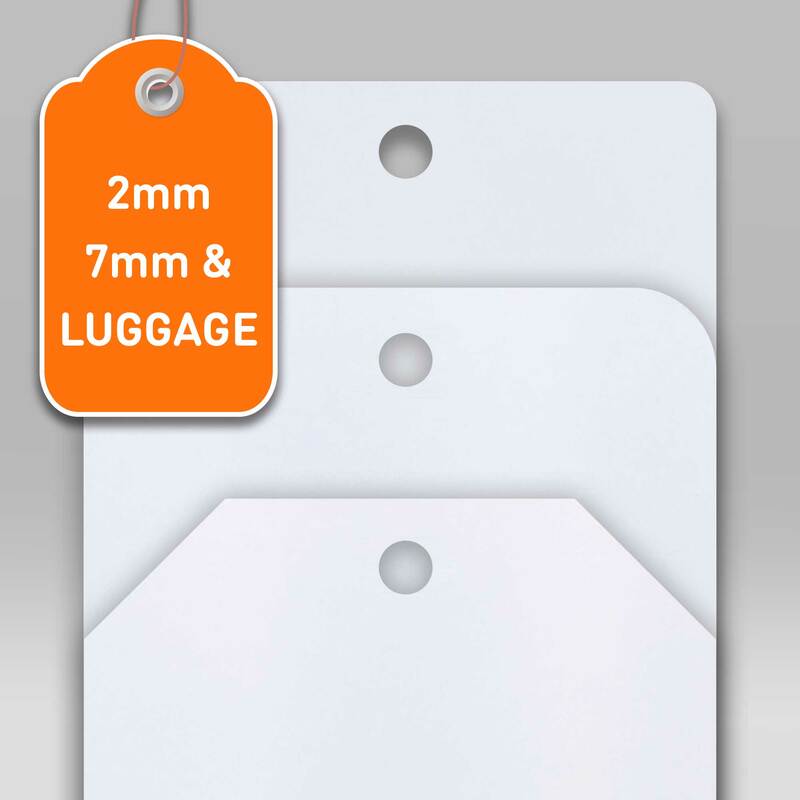 Do you require a string attachment to fasten your swing tag to your product? If so, we have several stringing options available to choose from to suit your individual need. 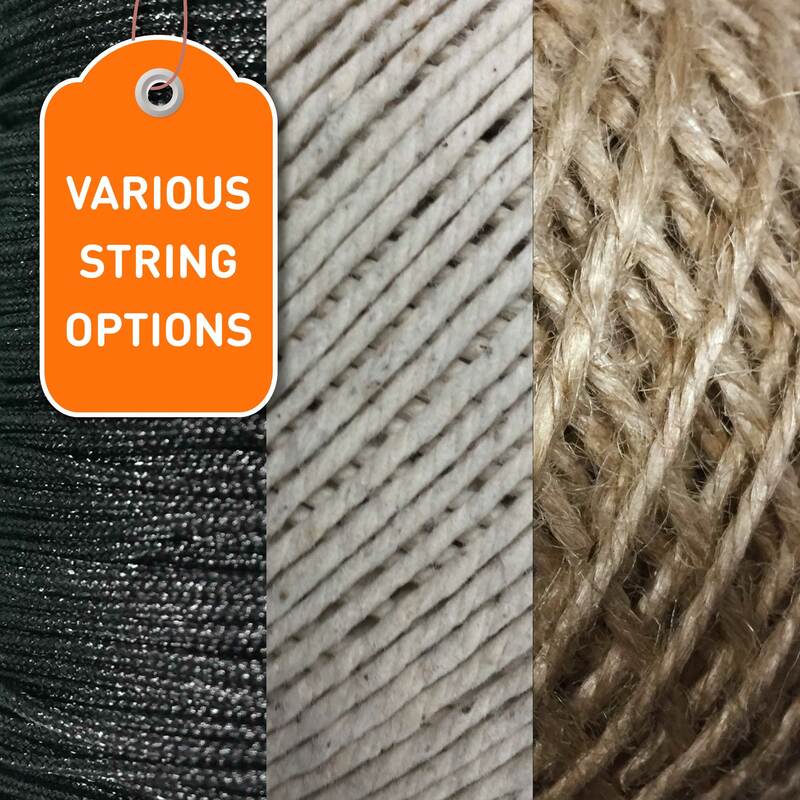 We can offer six different string colours, as well as natural and Jute twine for a more authentic look. We can either supply string in individual lengths for you to attach to your product, pre-strung tags to save you time and effort or a Snap and Lock fastener for a quick and easy solution. Please read more on our stringing options page. Add an eyelet to your swing tag for style and durability. A metal reinforcement eyelet has a dual purpose when added to your swing tag. It will increase the strength of the drill hole reducing the chance of the tag being ripped from its product. It will also add a touch of elegance to the finished look. Offered in three metal finishes, Silver Gold and Black. 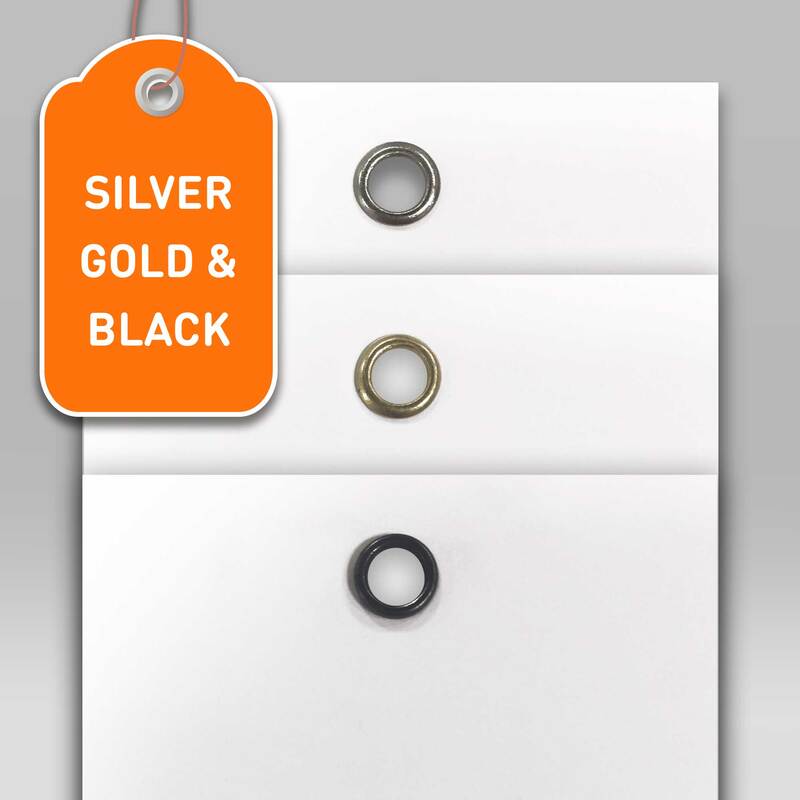 Take a look at our eyelet options page for further information and gallery images. Don't be square! Try a corner effect for a custom look. 7mm round corner which can look fab when combined with a great design. Alternatively you may want to achieve a more traditional feel if so, opt for a luggage style corner. Check out our cornering page for further information, hints and gallery images.